Home Tea Party We're all mad here. A Fanciful Tea Party. 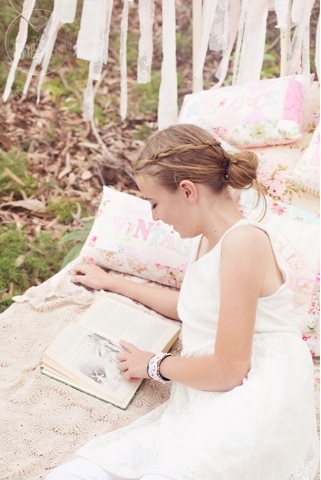 Did you know it is Alice in Wonderland's 150th birthday this year? 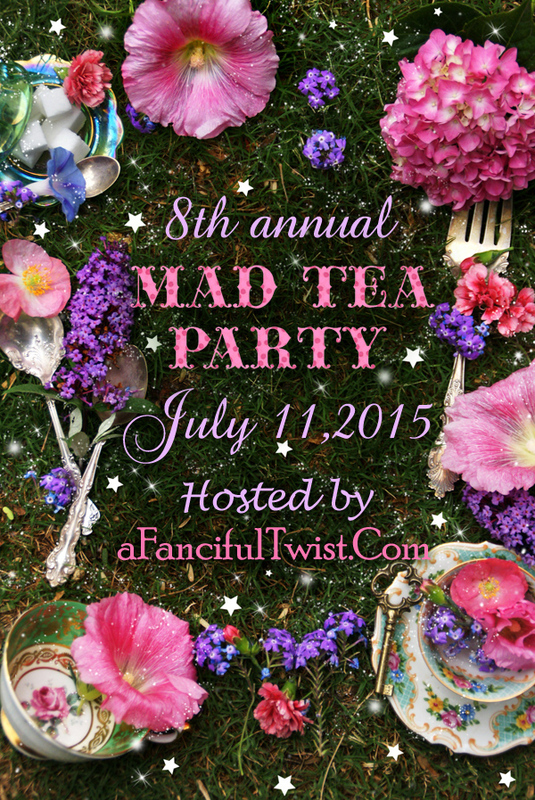 We are thrilled to be taking part in the Mad Tea Party blog event hosted by A Fanciful Twist . 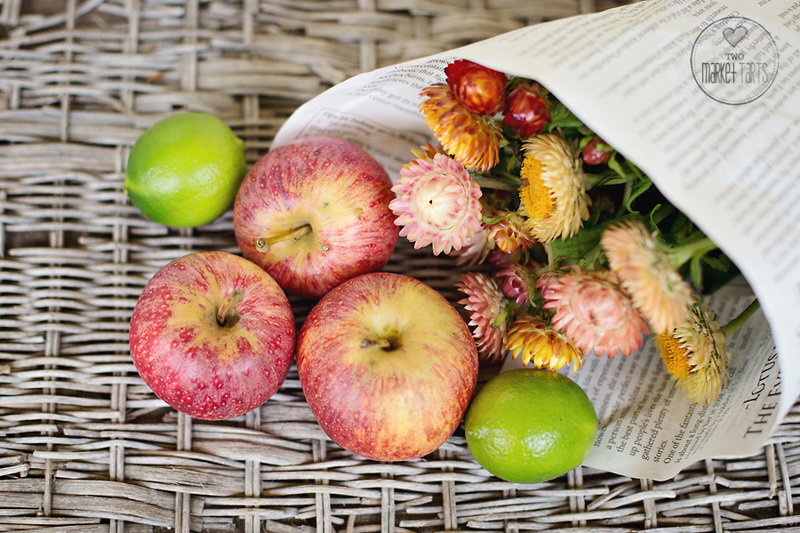 We have been sipping tea and taste testing little treats for weeks and finally the day is here. 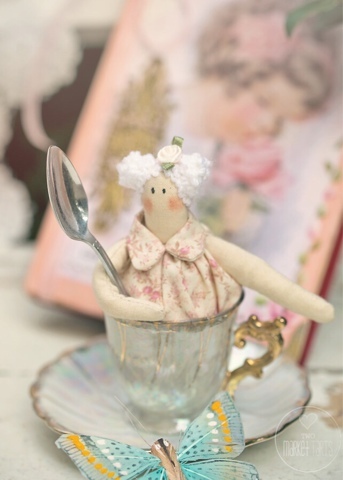 We are so happy you have come to visit us and hope you enjoy our little tea party adventure and sip a cup or two with us. 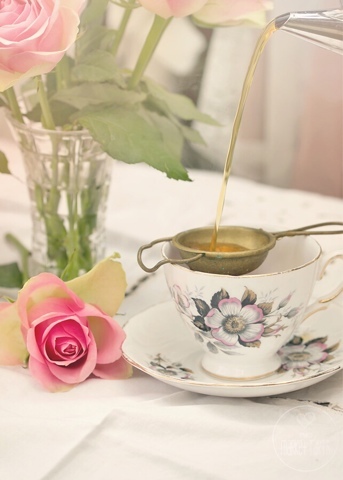 After you have paid us a visit, don't forget to pop over to A Fanciful Twist and visit all the tea parties around the globe. 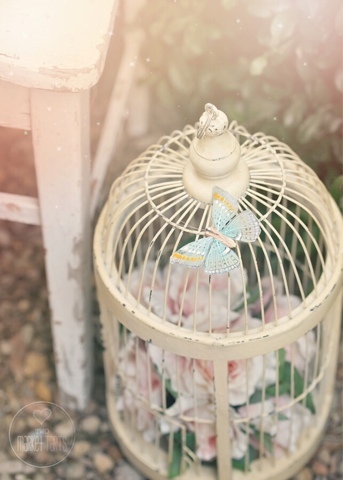 Our tea party adventure started with a single key, hanging from an old bird cage stand...a fabulous key which led us to a magical tea party. This fabulous key lead us to the garden where the clocks ticked and tocked and told us we were going to be late if we didn't continue on, likety split. The cakes were very tempting but we continued on. We weren't sure how we would get there but then we saw the answer in the reflection of the clock and found the bike and away we went ( it was a little tricky with two of us on the one bike but it was a little magical..obviously). We needed a little direction and this lovely little lady gladly pointed us in the right direction. We saw a chair along the way and we just knew we were heading in the right direction. 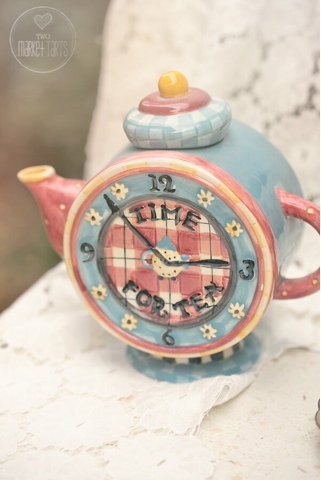 Especially when the clock declared it was in fact time for tea. Peeking through the trees we saw such a strange assortment, we knew that indeed we were on the right path. We considered stopping for a quick game of chess, but we thought the toucan might have been a little bit better than we were so we continued on again. 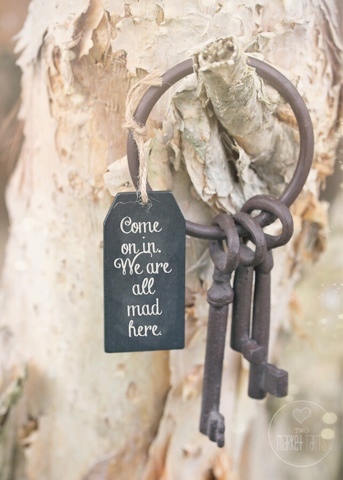 Definitely on the right path.. we are all mad here..
Oh look! A book and little bottles.. I wonder if we should wake this beautiful sleeping beauty. The setting is just too beautiful. 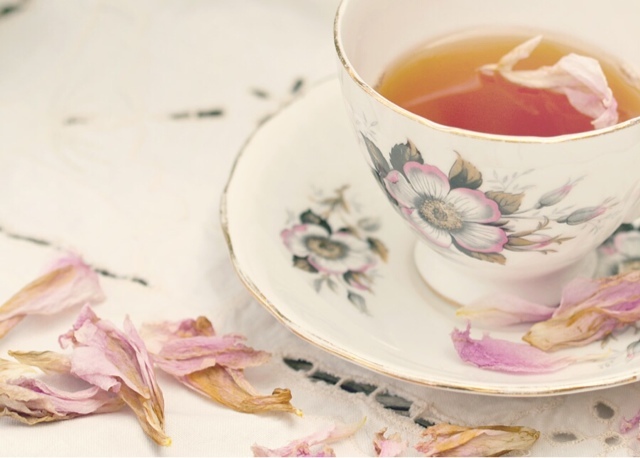 Some petal tea is just what we need, We might need to wake the sleeping beauty to join us. The bed does indeed look inviting, no wonder our beauty had a nap, but it is time for tea. 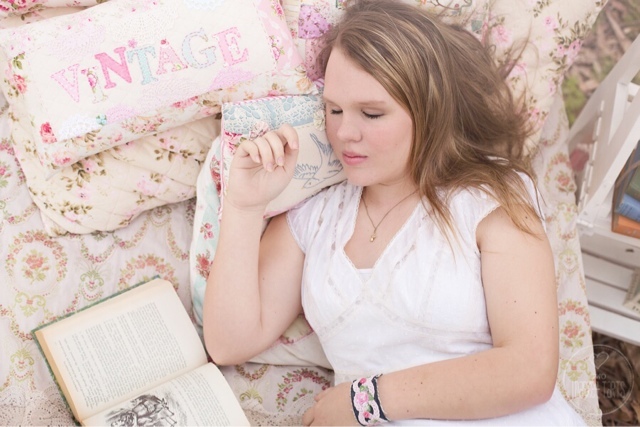 Another beauty reads a quick chapter from Alice in Wonderland and it has never sounded so perfect in this lovely setting. Sweet rabbits gather around the little tables. 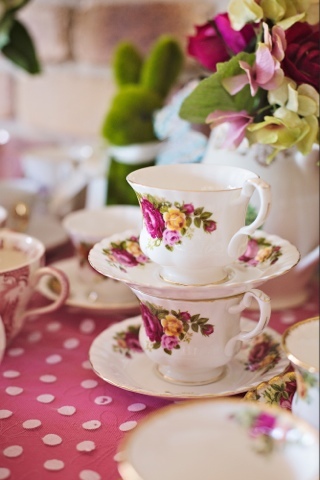 Oh how lovely, I do like the rose tea cups and you which would you choose? 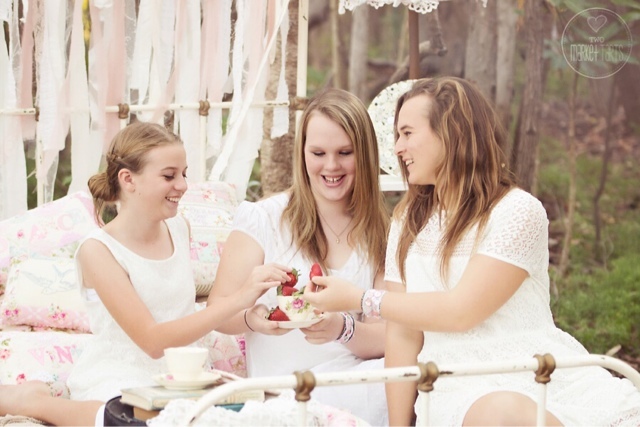 Three beauties sip their tea and feast on sweet strawberries. I shall pour you another cup, perhaps we cold read the tea leaves if we didn't have the strainer. I predict a sparkly future with these tea leaves. Now that we have found this lovely place nestled off the track near the beach, we think we might stay and sip a little while before we head off to visit all of you. We hope you have enjoyed your visit. We have had a lovely day. 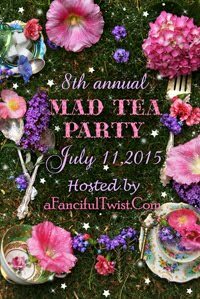 You can visit other tea parties at A Fanciful Twist. Love these images. They look so fairy tale-ish. Oh MY! I am delighted to have fallen down this rabbit hole! So beautiful. Wow, got to LOVE the setting! How enchanting! Happy unbirthday to you and your girls…. I'll take some Earl Grey in the lovely heart-shaped cup, please! 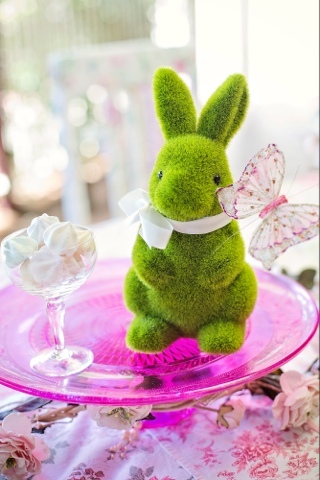 I adore the very green bunny! 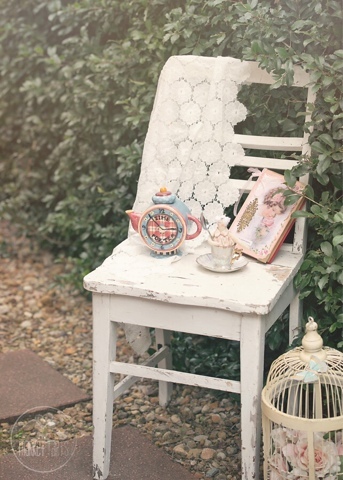 Your sparkly tea has given me new ideas for my garden. 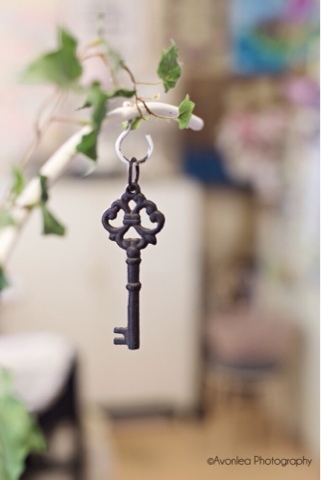 Keys and tiny bottles and books - oh my! Be still my fluttering heart. 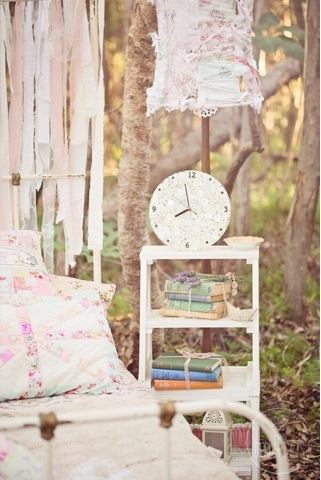 What beautiful pictures, I love the dreamy bed in the forest. 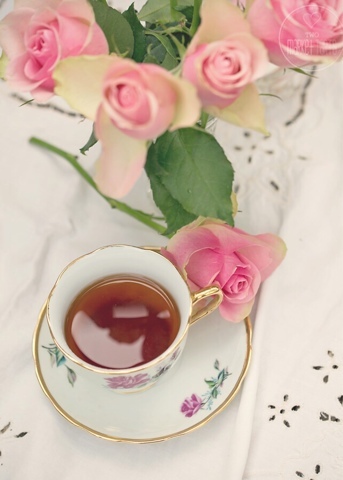 Tea time on a special bed, perfection! I love it! 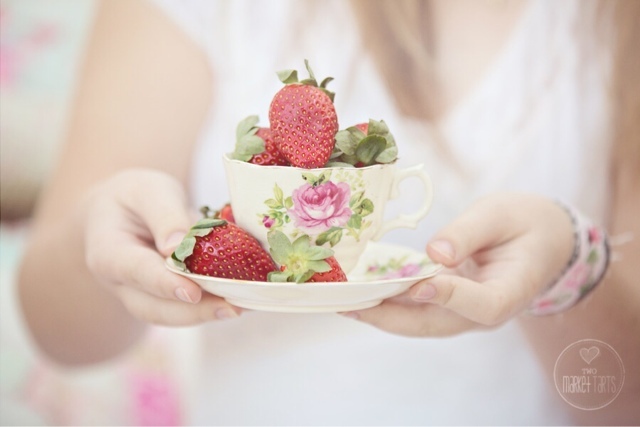 Happy tea times in your dreams. Tickle the imagination, yes. Your party is filled with imagination. Fantastic job! I can close my eyes and hear the joy of this setting. Thanks for inviting me. Perfectly magical! My favorite? The tea time teapot, of course. So absolutely cute! 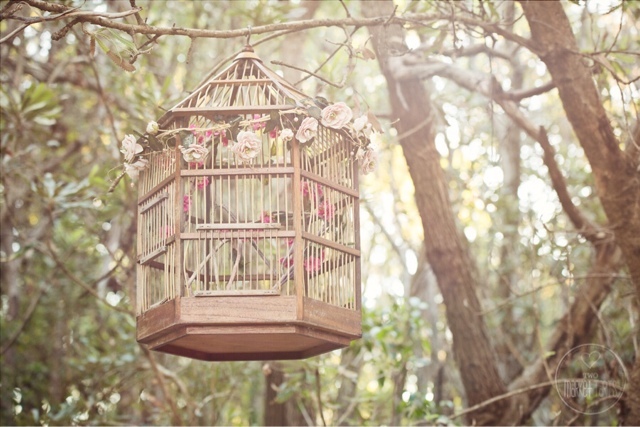 Oh that forest bedroom looked so beautiful! 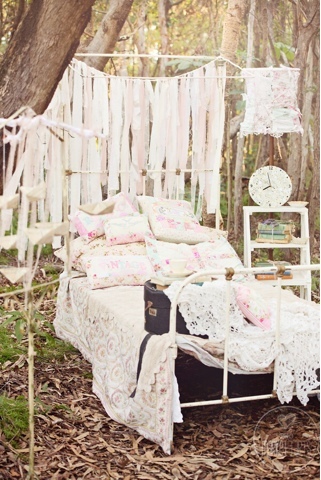 It's all so magical and that bed...sigh...makes me want to lay down and take a nap. Delightful. BEAUTIFUL!!! Happy unbirthday to all. 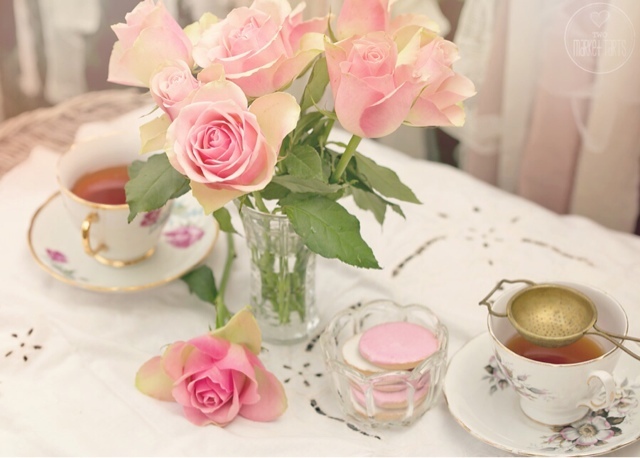 Lovely tea party! 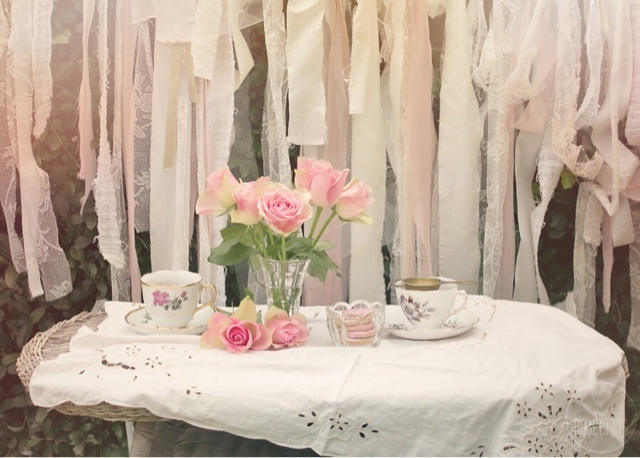 Your dreamy roses and chic Victorian rag garlands are absolutely beautiful! 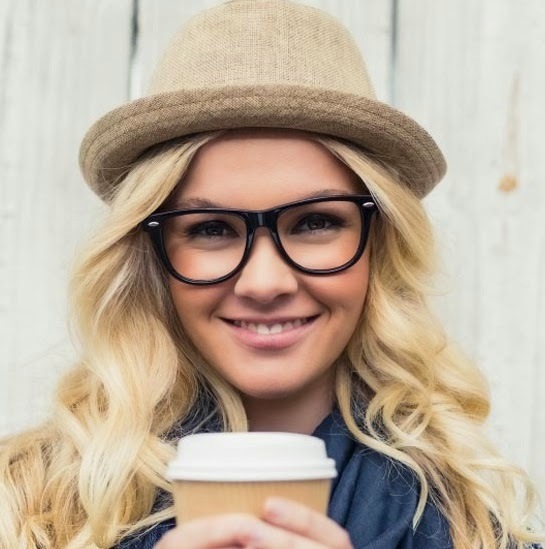 Thank you for the delightful cup of tea! Happy Mad Hatter Tea Party! These are beautiful! I'd love to have the dresses the girls are wearing! you created a dreamy setting and the girls looked lovely! Ohhhhhh! So lovely!! I'm swooning. What a sweet, magical party you prepared. I am absolutely smitten. The kettle's still whistling over my way. Feel free to come by.